A month ago, my preacher taught on the importance of observing the Sabbath. I paid attention and took notes like I usually do. I even jotted down a reference to a story he told about a bird named chippy. To save my life I can not remember what that story was. The sermon didn’t really resonate with me, but I’m so glad I recorded the scripture references to go back to because it resonates in a major way with me now. I spend time with God every day. I get good sleep at night (as good as my new hot flashes allow). I only work part-time (2 part times jobs, but who’s counting). I didn’t really think I needed a lesson in rest – until I got some rest. We just got back from Broken Bow, Oklahoma. My parents rented a big cabin for them, my grandad, my family and the families of my two sisters for 3 nights. For two full days, we had no agenda. We woke up when we wanted to, ate when we felt hungry, played games, put together puzzles, made s’mores and enjoyed each other’s company. Every chilly morning I wrapped up in a blanket and sat outside by the fire on the edge of the Ouachita National Forest for time alone with God. I could pinch myself just thinking about it. I think I’ve missed the point of what that rest really means. Isaiah 40:28 tells us that God doesn’t “grow tired or weary”. After 6 days of creating He didn’t need to sleep or lay like broccoli. He needed to do something different. That’s what I did last week. I changed my routine – and felt reborn. On vacations, I typically take some of my to-do list with me. I write, read things I think I “need” to, tie up loose ends online, try to memorize things for the classes I teach. But because the purpose of this trip was to spend time with family (which is so life-giving to me), I made the decision to leave it all behind. And it made all the difference. I LOVE to read and write, but I needed a break from even these creative endeavors. I took advantage of a change of scenery for my daily “quiet time” and God’s creation rejuvenated me. I cooked (okay I do that all the time), but was surrounded and helped by my sisters and mom. Such a blessing. I hiked in Beaver’s Bend State Park. The trek was hard work, but the landscape invited me to commune deeper with God and my wonderful companions (quite different from my usual hour on the treadmill). In writing this, I wanted to make Sabbath a verb, but when I looked up sabbathing, I found no such thing, but took a look at “shabbating” – observing the Jewish Sabbath. Although there are lots of rules surrounding a traditional Sabbath, it is also considered a festive day to exercise freedom from the regular labors of everyday life. It is a time for engaging in “pleasurable activities such as eating, singing, spending time with family” and even marital relations. Sounds like my time in Broken Bow – except that last part. We were in one house with all of my family! We need Sabbath as a verb because “resting” doesn’t do the practice justice! Thinking back on the vacation, I want to go back. But instead of pining away for the pine trees, I think the best thing to do is look for ways here in my day to day to find that rest and refreshment in the Lord. It doesn’t have to be an entire week or even a whole day. Seeking out time for fellowship with others and setting aside my to-do list for periods of time is a good place for me to start. What brings you rest and refreshment? Comment below so we can encourage each other. Sharing is caring! If you liked this post, please share to your favorite social media accounts. And if you want to make sure you don’t miss anything, please subscribe! Dream Team link up, The Good. The Random. The Fun. This is so true, Lauren, rest often looks different to God than it does for us. I’m glad God took the time to reveal the difference to you. Lauren, you touch on such an important message for all of us in this day of go, go, go. Resting in the Lord is the only rest that truly brings peace to our soul. Thank you for sharing! Julie, it was all so lovely. Thank you for stopping by and engaging! Good thoughts! I, myself, have been thinking a lot about Sabbath as well. After all, the commandment about Sabbath has not been rescinded. Thank you for joining the conversation, Jerralea. Changing what I do is rest for sure, I even rest when I can’t sleep, but I think it is deeper still, knowing He is on the throne and sees and hears us, and is working things out whether we see it or not. So much love to you, Trina. You are so right Rebecca. Lauren, your restful vacation sounds absolutely lovely. It made me want to pack my family up and rent a cabin in Broken Bow, OK. It sounds like a recent trip hubby and I took to visit my sister and her hubby in Florida. It was a smaller group, but I had time to sit and think, walk by a beautiful lakeshore, play lots of card games I had not played since I was a kid, do puzzles, etc. It was so restful. I cried when it was time to go home! I can relate, Laurie. I left mentally kicking and screaming. Reading for pleasure is good for me too, Sue. I haven’t been doing enough of that lately. This post is so sweet and encouraging. I am reading more on Sabbath this year, and your post was very helpful. Thanks so much for sharing this! I’m so glad, Cheryl. Thank you. I think perhaps that Sundays are meant to be the key to us finding balance in life. I’m still working on it, but that’s my working theory for why God made Sundays. I a still working on it too, Calleen. I am so glad you pointed out this post. I agree we need to do something different. My favorite way to rest my soul is to snow ski. It clears my mind. I try hard to incorporate rest into my Sunday, but I need a little bit daily. I had to laugh about how you usually do your vacations. We have a lot in common. Last year I took two weeks off from everything and it was glorious. I left my darn computer behind on purpose. Even when I try to take a bath and relax I take something from my to-do list with me. 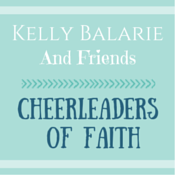 Thank you for linking up with Grace & Truth Christian Link-Up. Oh Maree, you are right. We are alot alike. Right down to the bath tub! This is what I need to do, too, Lauren. I am going away for the weekend, but I don’t need to pack my to-do list to take with me. Thanks for the encouragement. I’m glad it came at the right time, Lisa. Enjoy your trip. I am so glad to hear it, Kate. Life is hard. Things don’t always go our way, but God never changes and he’s always there. Praying for you today. Thanks for reading and weighing in! Lauren, I love the idea of Sabbath being a verb! Family time and rest are so important. I’m looking forward to some of that and “leaving it all behind” while I’m out of the country for a while this fall. Seems like a long way away right now though. Miles to go before I sleep… or something like that. Thanks for linking up at InstaEncouragements! Me too, Patsy. Btw, that’s my best friends name so I know you must be good people! This is a great post! I’m glad you had a refreshing break and I loved the lessons you shared about rest and Sabbath. Incorporating times of rest and refreshment in the midst of everyday life is something I’d like to do more. Thank you, Lesley. It is definitely taking some intentionality. Just posted a book review on The Rest of God by Mark Buchanan. The Sabbath is so much more that “no work”. It can make so much difference to understand what God had in mind. I need to check that out. Thanks, Mandy. Oh yes! 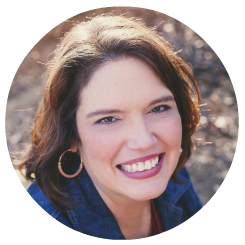 I’m working through Bonnie Grey’s devotional (for the 2nd time) called Whispers of Rest. Rest can be found in allowing ourselves to do things that are just for our delight, instead of having an agenda attached to them. I’m still learning how to do this so that daily feel rested in my mind, and soul. In our culture of ‘production’ schedules, turning to rest in God has become something I need to be very intentional about. Sounds like a needed book, Lynn. I really appreciated your comments about revisiting how you think about and “do” Sabbath. I particularly appreciated your comment, “best thing to do is look for ways here in my day to day to find that rest and refreshment in the Lord. It doesn’t have to be an entire week or even a whole day.” I read in one of my spiritual discipline books that rests can even include periodically taking a few moments through out the day to close my eyes and breath deeply, calm my thoughts and invite God into my day. And while Sabbath does not have to be a day or week in length – I do think ensuring we engage in the full gamut of Sabbath moments to days, helps to ensure that we invest in the necessary restorative breaks that keep us healthy spiritually, physically and emotionally. I wish I had done more of a balance between work and Sabbath throughout my professional career and as we raised our three boys. Life can be come so focused, busy and chaotic that it is spiritually healthy to balance that with a range and variety of Sabbath breaks. So much wisdom in what you have said here, Anne. Thank you for adding to the conversation. Thank you, Lauren, for this heartfelt reminder to cultivate Sabbath margin throughout the week. I have often blogged about this topic myself. It is such a healing practice and very helpful in combatting anxiety, burnout, and discontentment. Blessings to you. 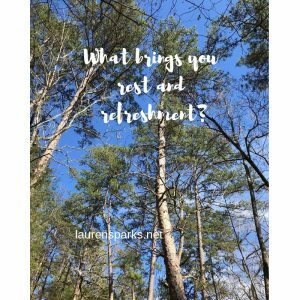 Lauren, this is such a good post and perfect example of what we think rest is and what it truly is. I so wish I had understood this years ago, but it’s never too late to start is it? I shared on tweeter, pinned on Pinterest and will share on FB too. Thank you for all the shares, Debbie!